Yigal M. Rechtman, CPA, CFE, CITP, CISM, is a Partner with RSZ Forensic Associates, a New York City-based forensic accounting and litigation consulting firm. Since 1994, Yigal has specialized in fraud investigation and forensic accounting, information technology, data mining, computer aided auditing, statistical analysis, and internal controls, and he is qualified as an expert witness in New York, New Jersey, and Connecticut. He manages engagements of forensic accounting, fraud investigations, electronic discovery, search for assets and income sources, operational analysis and attestation, and financial audits. These engagements include fraud investigation, litigation support, evaluation of internal controls, risk analysis, computerized information systems evaluation, and HIPAA compliance. Yigal has significant experience in a wide range of industries, including healthcare, real estate, construction, professional services, not-for-profit, technology, closely-held companies, ERISA plans, and education. 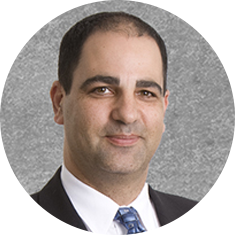 Throughout Yigal’s career, he held positions of greater and varied responsibilities, including an Audit Senior, IT Specialist, a Partner with a local CPA firm, and the Principal and Director of Forensic Accounting at two regional CPA firms. He has authored numerous articles on information technology, fraud, accounting, attest and audit, and is an active member of the editorial board of The CPA Journal. He lectures at schools and other venues about technology assurance, forensic accounting and information systems and is a professor at the Lubin School of Business, and the New York campus of Pace University, where Yigal also teaches forensic accounting, auditing and accounting information systems, in both the graduate and undergraduate programs. $900,000 embezzlement with document altering fraud (case accepted by insurance and referred to criminal prosecution). $1 million to $3 million accountant’s malpractice (cases settled). $2 million of kickback scheme (case settled, referred to criminal prosecution). $4 million inventory theft (case settled for $3.8 million, referred to criminal prosecution). $5 million claim against trustee, required trust accounting for years were records were scant (case pending, Surrogate’s court). $17 million class action suit about cost allocation in technology (case settled). $40 million damages from a contract breach (case settled for $32 million).